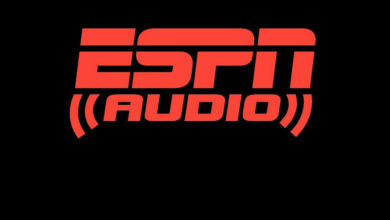 ESPN Audio Live Networks and On-Demand Content Now Available on the iHeartRadio - ESPN Press Room U.S.
ESPN Radio’s unparalleled lineup of live sports events like the College Football Playoff Semifinals and National Championship, the NBA Finals, the MLB playoffs and World Series, and much more. In addition, iHeartRadio listeners now have on-demand access to ESPN Audio’s roster of informative, compelling and entertaining podcasts like 30 for 30 Podcasts, Sports? With Katie Nolan, Fantasy Focus Football, and The Right Time with Bomani Jones. ESPN Radio, which launched January 1, 1992, provides more than 9,000 hours of talk and event content annually, reaching 20 million listeners a week on 500 nationwide stations, including more than 375 full-time affiliates and clearance in the top 25 markets. ESPN owns and/or operates stations in New York, Los Angeles, and Chicago. ESPN Radio programming is also available on SiriusXM and via digital distributors Apple Music, iHeartRadio and TuneIn. ESPN Audio launched its first podcast in 2005, and in 2017 recorded more than 288 million downloads. In December 2017, ESPN podcasts reached five million people, ranking ESPN fourth among podcast producers in America (per Podtrac). The most popular titles include Fantasy Focus Football, The Lowe Post and podcast versions of Golic and Wingo, The Dan Le Batard Show with Stugotz, First Take, Pardon the Interruption and more are also available. Listeners spend nearly 3.5 hours per week listening to ESPN Podcasts. The critically acclaimed “30 for 30” series expanded into podcasting in 2017.